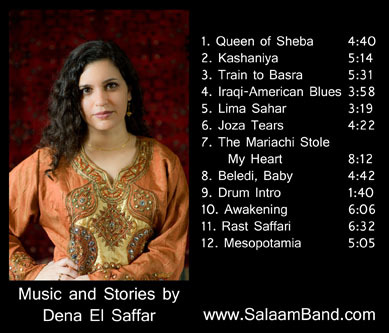 This CD features Dena El Saffar as a composer, performer, arranger and author – each track on the CD has a corresponding story in the CD booklet. 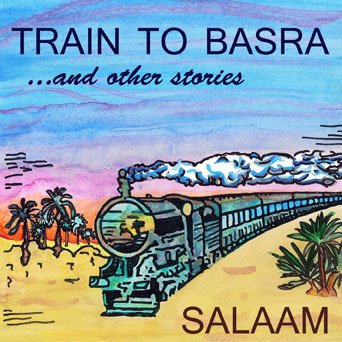 The album is entirely instrumental; a tribute to El Saffar’s many years of playing in orchestras. The CD has a very full sound, and features a delightful array of acoustic musical instruments, including: viola, violin, cello, bass, guitar, accordion, nay, saxophone, trumpet, santoor, óud, dumbek, riqq, tabl, doira and naqqarat. Recorded and engineered by Jake Belser at Primary Sound Studios in Bloomington, IN. Mastered by Emily Lazar at The Lodge, in New York, NY.